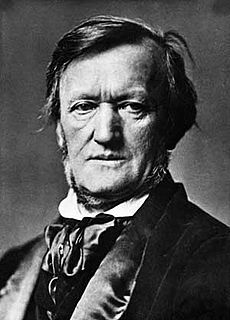 Richard Wagner, the master of music-dramas, was born 200 years ago today in Leipzig–May 22, 1813. Music writer Alex Ross has done a couple of interesting posts with a range of amusing audio and video clips in The New Yorker on Wagner and his legacy. Have a celebratory cupcake and read Ross’ posts here. • Update July 22, 2012: A re-creation of the printed program from the performance of 2/17/1943 is at the end of this article. • Update February 13, 2013: Read information here and here on the Evgheny Brakhman concert honoring the 70th anniversary of the last performance. One of my favorite music writers and bloggers, Alex Ross, reported in his blog, The Rest Is Noise, that he had stopped by the grave site of Sergei Rachmaninoff in the Kensico Cemetery in Valhalla, New York on his way to the Bard Music Festival in Annandale-on-Hudson. (Valhalla is just north of White Plains–who knew?) 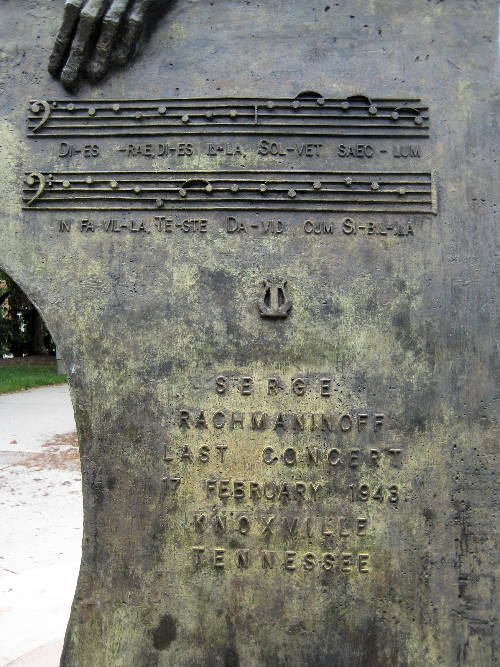 I thought this might be an excellent opportunity to remind readers of Knoxville’s connection to Rachmaninoff—the pianist/composer performed in public for the last time in Knoxville on February 17, 1943. 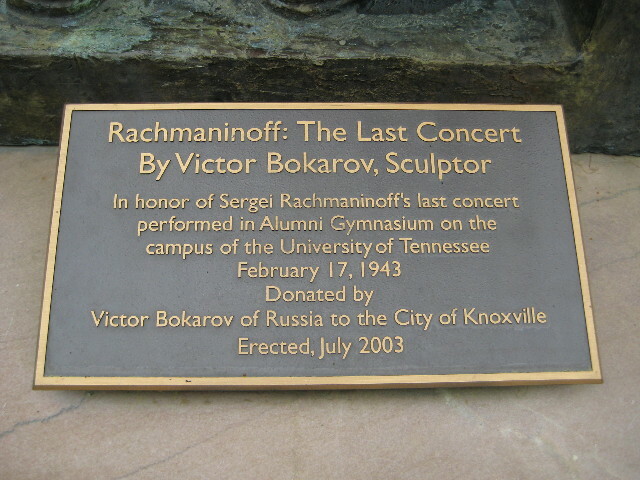 The concert was booked by University Concerts Inc. and took place at the University of Tennessee’s Alumni Memorial Gymnasium/Auditorium, a 1930s multi-purpose collegiate building that underwent a complete interior renovation begun in 2003. Today, the building contains some small performance halls, offices, classrooms, and a modern 977-seat music performance hall, the James R. Cox Auditorium. The Cox is the current performance home of the larger ensembles of the university’s School of Music, including the UT Symphony Orchestra. The current stage position of the Cox roughly approximates where a stage would have been in 1943. The 977-seat Cox Auditorium is located in the Alumni Memorial Building (1408 Middle Drive, Knoxville, Tennessee) on the campus of the University of Tennessee. The concert included the Bach English Suite No. 2 in A minor, Schumann’s Les Papillons, and ironically, the Chopin Piano Sonata No. 2 with its Funeral March. 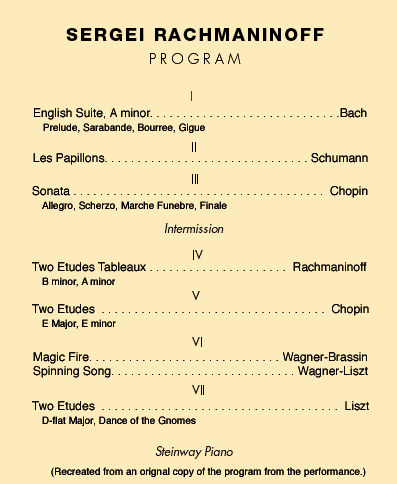 Rachmaninoff filled out his program with some of his own works, Études-Tableaux Op. 39, No. 4 & 6, a Chopin etude, and some Wagner transcriptions. The concert had ticket prices ranging from $1.10 to $2.75. When Rachmaninoff began his tour in 1942, he was already feeling the effects of the cancer that would eventually take his life. By the middle of January 1943, he was experiencing fatigue and severe pains in his left side, in addition to a bad cough and weight loss. Arriving in Knoxville by train from a recital in Louisville, Kentucky, he was determined to play the performance since he had had to cancel once before. After the Knoxville concert, Rachmaninoff and his wife, Natalia, made it as far as Atlanta before deciding to cancel the remaining tour dates and head back to their home in Los Angeles. This being wartime, it has been reported that it took them several days to get there. He died there a month later on March 28. 1943. 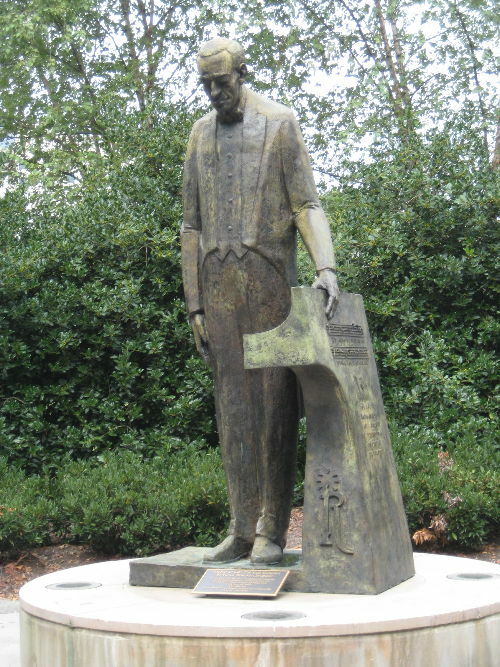 World’s Fair Park in downtown Knoxville is the site of a statue (pictured above) , “Rachmaninoff: The Last Concert” by sculptor Victor Bokarov. Alex Ross, the inimitable music critic for The New Yorker and the author of The Rest is Noise: Listening to the Twentieth Century, has announced his second book, Listen To This, which will be published by Farrar, Straus, and Giroux on September 28th of this year. –I can only conclude that he is covering a broad, broad swath of music and the broad art of listening. Something to look forward to for fall reading.